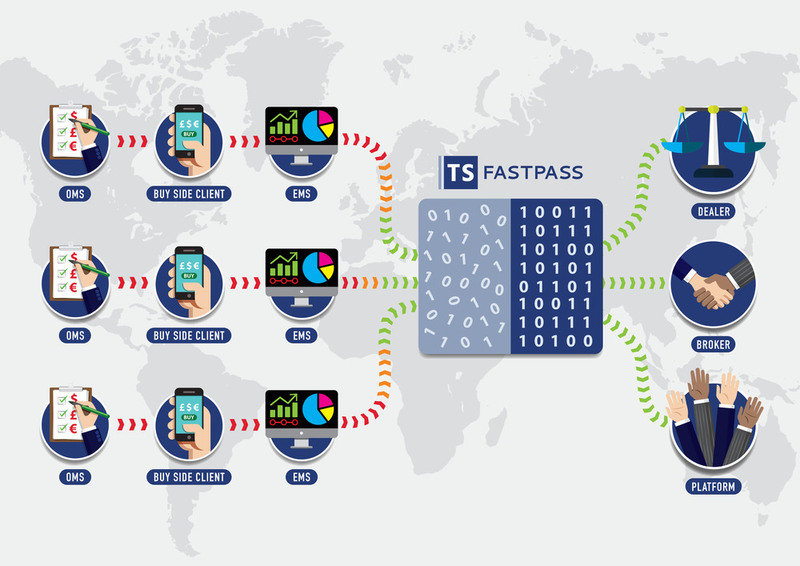 TS FastPass is designed to optimise FIX connectivity for Brokers and Dealers to their buy-side client OMSs. 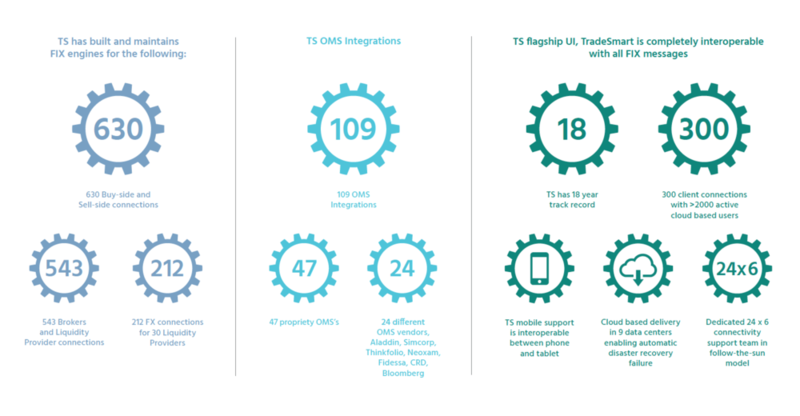 TS has a huge existing FIX network of connectivity to buy-side OMSs. Brokers and Dealers can utilise this network and connect directly with their buy-side clients OMSs to receive orders and send back executions. A simple monthly connection fee per client firm and a one-off Broker/Dealer integration charge will dramatically improve Broker/Dealer order flow and execution efficiency. Brokers and Dealers using TS FastPass can also display their price, axe, liquidity and IoI information on TradeSmart EMS and participate in buy-side best execution analysis. This visibility can often lead to unsolicited inquiry from existing TS buy-side clients. Visibility of Broker/Dealer price, axe, liquidity and IoI information on TradeSmart EMS for existing buy-side client best execution analysis.